Another common failing gearbox is fitted to the Nissan Almera 1.5l Petrol. It’s a 5-Speed manual gearbox and we’ve seen these coming in with many faults including input shaft bearings shot and crown wheel damage. When the Nissan Almera gearbox fails, we rebuild it using uprated parts (where possible) to strengthen the box. 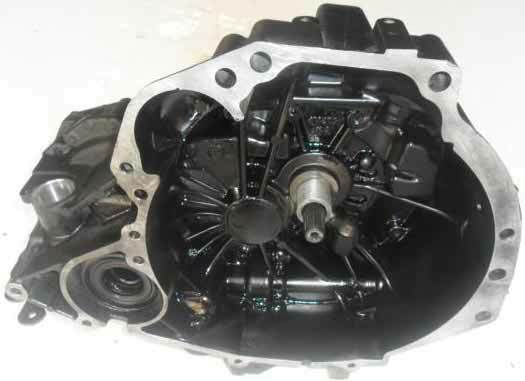 Most garages and dealerships will advise on replacing the gearbox. 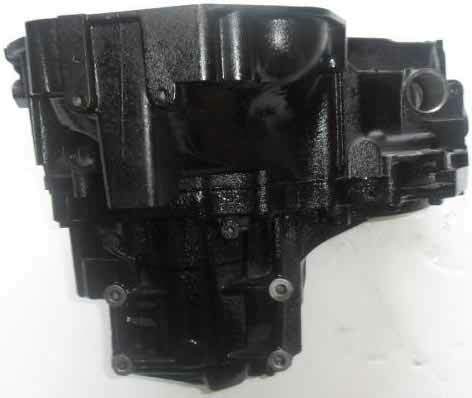 If you manage to find a new replacement gearbox, it will be very expensive and with a limited 12 month warranty. A quick search will find you many second-hand (used) gearboxes available from breakers / scrap yards and will come with a limited 30-90 day warranty. These gearboxes are so weak and such common failures, don’t be surprised if after fitting a second-hand gearbox you find yourself back in the same situation not too far down the line. All Nissan Almera 1.5 gearboxes are failing – you run a higher risk buying from a high mileage or front accident damaged car. We offer a gearbox rebuild service where we fully strip & rebuild the unit with new components. We use genuine OEM components when rebuilding gearboxes and uprate components where possible to ensure each and every rebuilt gearbox meets & exceeds OE specifications. All of our reconditioned gearboxes come with a 2 Year unlimited mileage warranty and we offer free fittings at our Gearbox service centre. If you have a Nissan Almera with a manual gearbox fault, call us on 0844 847 9999. Tags : Nissan Almera 1.5L Gearbox Faults, Nissan Almera Gearbox Problems, Nissan Almera Gearbox Repairs, Nissan Almera Reconditioned Gearbox. Thanks for the enquiry, and many apologies for the delay in getting back to you. We’ve sent you an email now with pricing and further information, and if you have any further enquiries please do not hesitate to respond to the email. i have 04 plate Nissan almera 1.5 which has covered126k.Have got Whirring/whining noise on acceleration(more noticeable in 1st&2nd gears) but tends to get louder when held at speed especially in 5th gear at approx 50/60mph and got a grinding noise on deceleration at any speed and and in any gear but both noises cease when either the clutch pedal is depressed or left to freewheel.i have no trouble selecting any of the gears but 1st gear can sometimes be difficult to select suspect internal gearbox fault. I have a Nissan almera 1.5 2005, and the gear shaft is extremely loose and am sure oil is leaking from the gearbox wat should i do ?